The Noontec Hammo wireless headphones costs $120 – but their portability, long battery life, and solid audio quality make them among the better headphones available in the sub-$150 price bracket. So should you buy them? In my experience, when you buy headphones on a budget, oftentimes you get what your money’s worth. And almost $150 demands quality. Competition in the $200 market segment includes the Sennheiser 165. That’s not to say that the Noontec Hammo are bad – on the contrary — they have good sound for Bluetooth headphones. 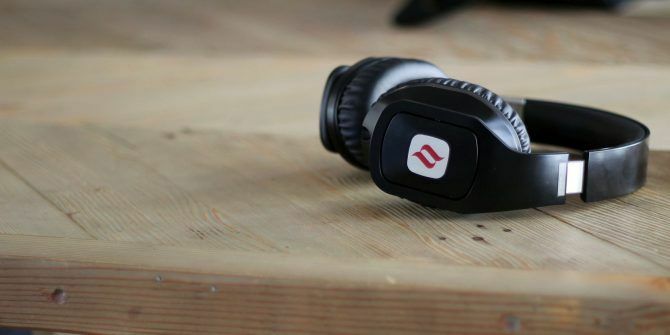 But its $120 price tag and flimsy build quality compare poorly to competitors (best Bluetooth headphones The 7 Best Bluetooth Headphones You Can Buy The 7 Best Bluetooth Headphones You Can Buy Finding the right pair of Bluetooth headphones isn't easy, so we've compiled a list of the best Bluetooth headphones money can buy. Read More ). The highpoint of the Noontec Hammo: design. These are among the lightest and most comfortable circumaural (or closed-back) headphones I’ve ever worn. Normally manufacturers strike a compromise between weight and noise-cancelling characteristics. Lightweight headphones oftentimes skimp on sound baffling material. And headphones with strong noise-cancelling can weigh quite a bit. The Hammo somehow comes out with the best of both worlds: strong noise-cancelling characteristics combined with low weight (262 grams). The basic design, though, uses passive noise-cancelling. The earcups block external noise by fully enclosing my ears. And they look great on top of that. The comfort and fit all come in above board. Like most headphones, foam cushions contact with the user’s ears and head. A dark gray synthetic material stretches over the earcups. It’s the same, somewhat flimsy pleather material, that you see on similar devices in a lower price bracket. On the other hand, the earcups fold inward, collapsing the Hammo down to a smaller size. The only thing that really stands out as odd: the Hammo charges over its 3.5mm audio jack. I’m not the kind of consumer who runs out and spends $120 on headphones, but in the budget Bluetooth headphones category, I’ve never seen devices that charge using a 3.5mm audio cable. To my knowledge, only a few iPods and headphones from Beats use this method of charging. And it just seems strictly inferior to charging over Micro-USB. In the package, you’ll also find a variety of peripherals, including flat cables sheathed in silicone rubber, an AC adapter, a transmitter stand, left-and-right audio cables, a 3.5mm audio cable, and a USB to 3.5mm charging cable. The extra cables add to the Hammo’s overall value — but I wouldn’t buy these on account of them. The Hammo connects to devices through one of two methods: wireless and wired. The wireless connection relies on a transmitter-hanger or on the headphones’ Bluetooth 4.0 technology. It works like this: The Hammo wirelessly connects to the transmitter; it’s the transmitter that connects over an audio cable (a 3.5mm stereo cable or standard audio AV cables) to the computer or smart device. I should note that normally Bluetooth offers far less audio fidelity than a direct wired connection. In theory, the transmitter should offer superior performance compared to a Bluetooth connection. Unfortunately, the transmitter arrived in a mostly non-functional state. It emitted sound only from the left audio channel and — even then — I had to wiggle the 3.5-inch wire to get it working. Normally these kinds of intermittent hardware failures are caused by shoddy solder work. That does not portend well for those looking to own the Hammo long-term. Regarding compatibility, the Hammo works with all Bluetooth-equipped devices. Obviously, any smartphone, tablet, or computer with a 3.5mm jack can also output audio to the Hammo. Regarding operating systems, its compatible platforms include Android, iOS, macOS, Linux, and Windows. But it almost certainly works with anything — from car stereos to MP3 players. More or less, that means compatibility with virtually all devices on today’s market. From what I can tell from an inspection of the Hammo, the underlying wireless technology inside of the Hammo is Bluetooth, as opposed to radio frequency. It also appears to automatically enter Bluetooth pairing mode, if it is turned on and not connected to any wireless source. Pairing the Hammo with a device isn’t very easy. While it works with Windows devices, it doesn’t always show up as available to my Pixel XL in Bluetooth pairing mode. 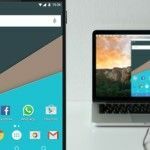 However, because of Android’s issue with fragmentation, it wouldn’t surprise me if it worked with some Android devices and not others. And it’s easy to bypass any Bluetooth compatibility issues by simply using the transmitter, as it uses cables to connect. What’s Great About the Noontec Hammo? In spite of other issues, I consider the Hammo among the best headphones I’ve ever laid hands on for portability. Not only are they lightweight, the Hammo folds down by approximately 30% of its total size. That means they fit comfortably inside of a backpack or extra-large pocket. Few headphones with their battery life and size could claim a similar degree of portability. Their sound quality is equally good. Judging from a limited multi-spectrum audio analysis (available through audiocheck.com), the Noontec’s highs, lows, and mids are very good. They compare on equal footing to many wired headsets, such as the Corsair Vengeance. I found the Hammo strictly superior to some of the more inexpensive Bluetooth headphones out there, as well. However, keep in mind that these are wireless headphones designed for portability. Pretty much all wireless headphones that use the Bluetooth standard do not compare on equal footing with wired headphones in sound quality. Aside from interference issues, Bluetooth just can’t keep up with a physical connection. Overall, Bluetooth audio quality borders on being trash – universally. So when someone tells you that their Bluetooth headphones offer impressive sound quality — they’re saying that in relation to the known problems of a wireless headphone. The Noontec Hammo uses over-the-ear (or “over ear”) circumaural earcups, which means it completely covers the ear. Like most circumaural headphones, the Hammo provides some degree of passive noise-cancellation. To test the Hammo’s noise-cancelling characteristics, I devised a simple test: I played a series of high, low and medium tones over a speaker and put on three different headphones: a circumaural, closed-back Corsair Vengeance 1500; a generic white-label pair of Bluetooth headphones; and the Hammo. In all tests, the sound muffling characteristics of the Hammo beat out all competitors. Overall, it offers very good passive noise-cancellation, particularly considering how lightweight they are. What’s Not So Good About the Noontec Hammo? The biggest black mark against the Hammo: construction quality. While its simplistic and functional design makes the Hammo lightweight and portable, those features equally work against it. To save weight, Noontec chose plastic for a majority of headphones’ frame. The only part that seems to use steel is the articulating joint that allows the Hammo to collapse down. Unfortunately, that joint has plastic grinding on steel. Over time the stresses of use will cause the plastic to fracture. Eventually, the earcups will break away from the rest of the device. That process could take months or years, but they will eventually break, particularly if you fold them frequently. I can’t make a qualified evaluation of the Hammo’s transmission reliability and range, but it seems to transmit on the 2.4 GHz spectrum — normal for a Bluetooth 4.0 device. In direct comparison to other Bluetooth headphones, it comes up short. In fact, it performed poorly in terms of connection reliability and range to white label headphones, like the BÖHM B66 or the DiskIn DH3 (they’re the same headphones, by the way). Considering that these are $60-80 headphones made from aluminum (which can dampen wireless signals), something seems wrong. It may be a driver issue unique to Windows; when connected to a smartphone, like the Pixel XL, the Hammo connects without issue. However, if you use the transmitter, those connection issues vanish. Like all internal microphones on Bluetooth headphones (like Noontec’s Zoro II Noontec Zoro II Wireless Headphones Review Noontec Zoro II Wireless Headphones Review Read More ), the call quality borders on unusable. I’d dedicate more time to lambasting Noontec, but every Bluetooth headphone with an internal microphone suffers from the same problem, so why bother? Should You Buy a Noontec Hammo? For those looking for disposable headphones, with $120 to burn, the Noontec Hammo make sense. For everyone else, build quality issues, notably the weak articulating joint and poor soldering job, make these a difficult recommendation for the price point. If you can grab them in a sale for around $100, they start to make more sense — but only if you think $100 isn’t a lot of money. Explore more about: Bluetooth, Headphones, MakeUseOf Giveaway.